Mentoring is a topic that is mentioned often in our culture, but much of the wisdom on the topic comes from humanism. Mentoring in the New Testament is different because it looks at what God’s Word teaches about mentoring and training leaders. Believing that all Scripture is given by inspiration of God and is profitable for us, I found these studies to be extremely helpful as I seek to be mentored and to mentor others. There are four excellent examples of New Testament mentoring that I would like to highlight. Barnabas was the ideal mentor because he was an encourager. Barnabas sought out and believed in Saul when others did not. Saul was not trusted by the disciples at Jerusalem (Acts 9:23-26). Running for his life from the Jews at Damascus, He came to Jerusalem. But the church there would not let him join them because they were afraid of him and did not believe he was a true disciple. Barnabas reached out to Saul when no one else would (Acts 9:27-31). He took a risk and brought Saul to the apostles. Saul told them how he had seen the Lord in the way, how the Lord had spoken to him, and how he had boldly preached at Damascus in the name of Jesus. The apostles accepted the word of Barnabas, and Saul/Paul became part of their group. From Barnabas, we learn about believing in people. Mentors are willing to trust when others won’t. Mentors are willing to take risks when others are afraid. Mentors believe when others doubt. If we are going to mentor and disciple leaders, we must be willing to help those that no one else will help, believe in those that others won’t believe in, and take risks on people. 1 Corinthians 13:4-8 Charity suffereth long, and is kind; charity envieth not; charity vaunteth not itself, is not puffed up, doth not behave itself unseemly, seeketh not her own, is not easily provoked, thinketh no evil; rejoiceth not in iniquity, but rejoiceth in the truth; beareth all things, believeth all things, hopeth all things, endureth all things. Charity never faileth: but whether there be prophecies, they shall fail; whether there be tongues, they shall cease; whether there be knowledge, it shall vanish away. Barnabas involved Paul in what God was doing in Antioch (Acts 11:19-30). God was really blessing in Antioch. Barnabas was sent by the church at Jerusalem to investigate and encourage the disciples there. When Barnabas saw what was going on, he went to Tarsus, found Paul, and brought him to Antioch. 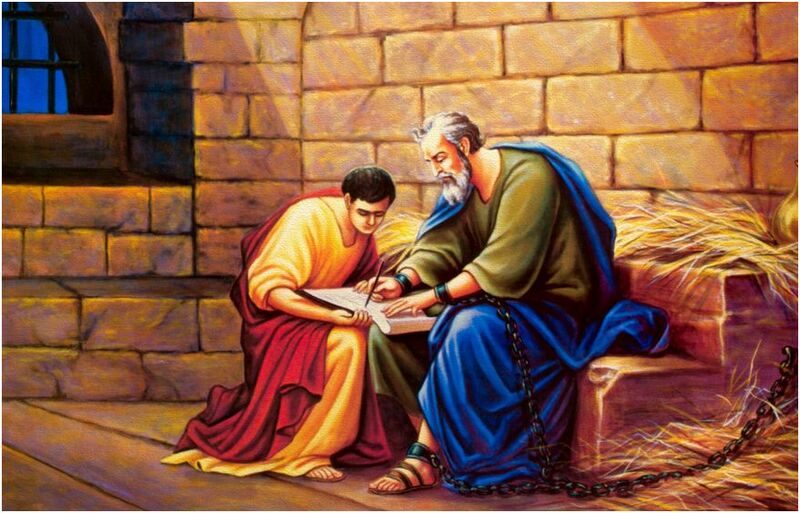 At Antioch, Barnabas got Paul involved in the work. Paul was one of the leaders and teachers in the church. The two of them assembled themselves with the church for a whole year. The once-skeptical church believed in Paul so much that they sent him with Barnabas to take the relief money to the saints in Jerusalem. Mentors find a place for others to get involved. Mentors seek out those they are training and help them to get experience doing real ministry. Mentors don’t do everything themselves. They see the strengths of others and let them use their gifts and abilities. Barnabas was willing to allow Paul to become the prominent figure and lead missionary (Acts 13). The leadership of the church at Antioch had expanded from Barnabas and Paul to include Simeon, Lucius, and Manaen (13:1). Barnabas and Saul were called by God to leave the church for missionary service (Acts 13:2-4). In the beginning, Barnabas was the leader, but his place rapidly changed. Barnabas is mentioned first in Acts 13 verses 1,2, and 7, but in Acts 13:8-9, Paul speaks up when Elymas withstood them. From that point on Paul is mentioned first (Acts 13:13,16,43,46,50). In Acts 14:12, he is called the chief speaker. Paul eventually got to the place where he was no longer dependent on Barnabas and was willing to separate from him (Acts 15:36-39). Barnabas had done his job. Paul had grown, gained experience and confidence. God used Paul to such a degree that he even passed up his mentor. The rest of the book of Acts is all about Paul and his ministry, but where would Paul have been without Barnabas? Let others get involved and create a culture of mentoring and training others. Before you can move on, you need to train a man or men to take your place. Don’t be so insecure that you can’t shift from leader to follower. The important thing is that the work gets done. We are mentoring not just to serve but to lead. We are a success when we have trained a man to take our place. If we cannot retreat into the shadows, we will not be able to train strong leaders. We have to encourage them and then let them lead. There may come a point where we must pass them off to other mentors for further training and they pass us up. John Mark came from a Godly family. His mother was Mary, the lady who held the prayer meeting for Peter when he was in prison (Acts 12:12). His cousin was Barnabas (Colossians 4:10). He was given great privilege and opportunity. He was taken by Barnabas and Paul from Jerusalem to Antioch (Acts 12:25), and then was chosen to go with them on their first missionary journey (Acts 13:5). Despite all of these advantages, John Mark quit part way through the missionary journey (Acts 13:13). His failure to finish the journey eventually resulted in a division between Barnabas and Paul. As they began their next missionary journey, Barnabas wanted to take John Mark with them, but Paul disagreed (Acts 15:37-41). Unable to resolve their disagreement, they split up and went different directions. Paul took Silas, and Barnabas took John Mark. The time and faith that Barnabas invested in John Mark paid off, because later Paul remarked that he was profitable to him for the ministry and wanted John Mark to come with Timothy to visit him in prison (2 Timothy 4:11). 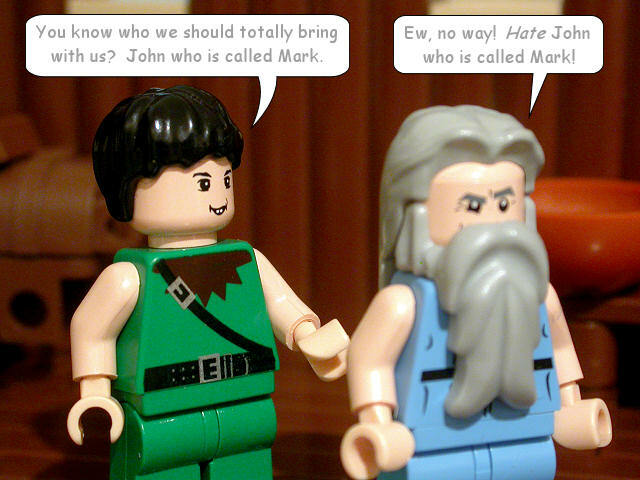 Mark is even believed to be the author of the New Testament book of Mark! We must be highly committed to investing in others. Barnabas cared so much about John Mark that he willing to part company with his good friend Paul over him. When we mentor, we must be willing to take risks on those who have failed and helped them to become profitable for the ministry. Sometimes when we choose to forgive, to invest, and to take risks with people, we will be criticized. Tent-makers who used their lives in a great way to help get churches planted. They gave Paul a place to stay while he was church planting in Corinth. Later, they opened up their home for the church in Ephesus and then the church in Rome. Paul acknowledged that he was deeply indebted to them for all their help in the ministry (Romans 16:3-4). He was a highly talented and educated young man. He was a Jew from Alexandria. He was eloquent (learned, cultured) and mighty in the Scriptures. He was fervent in spirit (enthusiastic, excited). He sounds a lot like a modern-day Bible college graduate: 1) just finished his education, 2) full of learning, knowledge, energy and zeal, but 3) lacking in wisdom and understanding. He taught what he knew, which was limited. He taught diligently the things of the Lord, but he only knew the baptism of John. He needed someone to mentor him and help him grow as a preacher and a teacher. They took note of his strengths. They obviously had a very gentle spirit (“more perfectly”). They took him aside privately and did not embarrass him publicly. They knew their Bibles and doctrine well enough to help a man who was “mighty in the Scriptures”. Apollos left a far better man then when he met them. They sent him on to Achaia with glowing recommendations. We need to always encourage the progress we see in others. Any correction needs to be done in a kind, loving way. Any correction should not be done in public to embarrass. Any correction should always be done scripturally. Any correction should be done to help build the person up and make them a success. Finally, I would like to examine some mentoring lessons from the lives of Paul and Timothy. Timothy was a young man with great potential whom Paul selected for mentoring on his second missionary journey through Derbe and Lystra (Acts 16:1-2). It is recorded that he was “well reported of.” Interestingly, shortly after leaving his mentor (Barnabas), Paul finds a man (Timothy) to mentor himself. From the time that Paul chose Timothy, they worked very closely and spent a great deal of time together. Timothy travelled with Paul and Silas on their missionary journeys to Thessalonica and Corinth. At different times, he was sent by Paul to encourage the Thessalonians and the Corinthians. 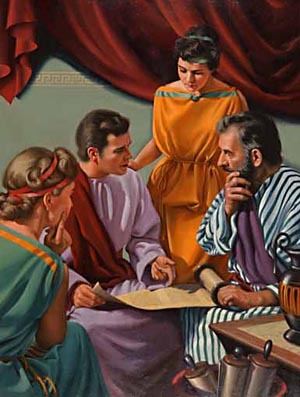 Paul’s confidence in Timothy continued to grow to the degree that he said of Timothy in Philippians 2:19-24 “…as a son with the father, he hath served with me in the gospel…” Timothy would eventually become pastor of the church at Ephesus, and certainly the letters of 1 and 2 Timothy express how much Paul loved and cared for him. So what lessons can we learn from the mentoring relationship of Paul and Timothy? We should be selective in who we choose to mentor. Not everyone qualifies for a close mentoring relationship. We need to look for faithful, able men (2 Timothy 2:2). Paul chose Timothy based on what others said about him (well reported). Most of those in the Bible who were intensely mentored were selected by the mentor: Elijah chose Elisha, Jesus chose the disciples, Barnabas chose Paul, and Paul chose Timothy. Mentoring is a long process that involves a lot of time. Much of Timothy’s training and experience took place while he was with Paul. Paul continually gave Timothy more experience and opportunities to use his talents and abilities. Paul wrote letters to encourage and challenge Timothy in his ministry and personal life. Timothy became Paul’s trusted son in the faith because he spent so much time with Paul. Mentoring is a committed relationship that is not just one-directional. When it was Paul’s time to die, he wrote his final letter to Timothy which shows how much he loved and respected Timothy. They were more than just coworkers; they were friends. They were family; they were like father and son. To get the maximum benefit of mentoring, both parties, the mentor and the one being mentored, must open their hearts to the other, love the other, and be deeply committed to one another. We have not looked at the mentoring of Jesus, because truthfully His example deserves a study all of its own. This series has been of immense benefit to myself, and I pray it will aid you too. Who are others that displayed these traits of mentorship in the scripture? What can you learn from these? This post was originally posted as a 5 part series on www.intoalltheworld.net and was reposted here by the original author.